On April 16, the Center for International Studies presents a seminar on Turkey-EU relations, with Professor Cihan Dizdaroğlu as invited speaker. The seminar will take place at Mário Murteira auditorium, at 6p.m. Free entrance. The relationship between Turkey and the European Union (EU) has always been complicated than any other European countries seeking EU membership. 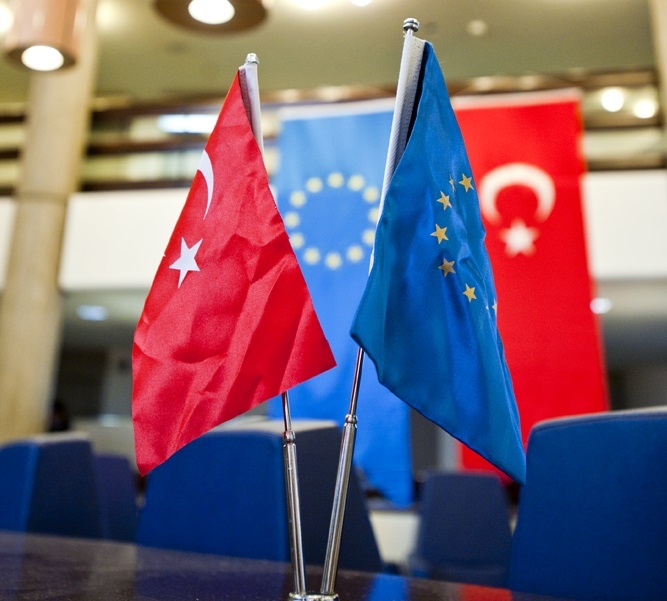 Turkey, as an EU candidate since 1999 and a negotiating country since 2005, has always been interested in being a member of this community, even though many Turks still believe that Turkey’s membership to the EU is a distant dream. The two have been able to patch up their relationship, or at least the continuation of dialogue, despite various ups and downs over the years. Today, thirteen years after the start of negotiations, the relationship between the two is again on rocky ground. Besides Turkish government’s hesitancy of doing its homework for accession, the mixed signals coming from the EU members also cause loss of hopes for a new momentum in Turkey-EU relations. In the midst of calls for ending Turkey’s EU membership process are mounting, the speaker will focus on the historical background of the relationship between the two in order to see whether there is a chance to revive the dormant relationship, and what steps can be taken to overcome the sticking points. Cihan Dizdaroğlu is serving as the Director of the Center for Turkish Studies at Kadir Has University as well as a member of the Department of Political Science and Public Administration. He holds a PhD in International Relations from Kadir Has University. Dr. Dizdaroglu has been working as the Project Coordinator to the International Relations Council of Turkey (IRCT), and as Publication Coordinator of the Journal of International Relations (Uluslararası İlişkiler Dergisi) since 2009. He was previously research associate in the Economic Policy Research Foundation of Turkey | TEPAV, a think-tank based in Ankara, in the Foreign Policy Studies Program between 2006-2010. Dr. Dizdaroğlu will work as a Marie Curie Fellow at the Centre for Trust, Peace and Social Relations (CTPSR) of Coventry University, UK, between 2018-2020. His academic interests include Foreign and Security Polices of Turkey, Turkish-Greek relations, Turkey-EU Relations, European Security and the NATO-EU Relations.